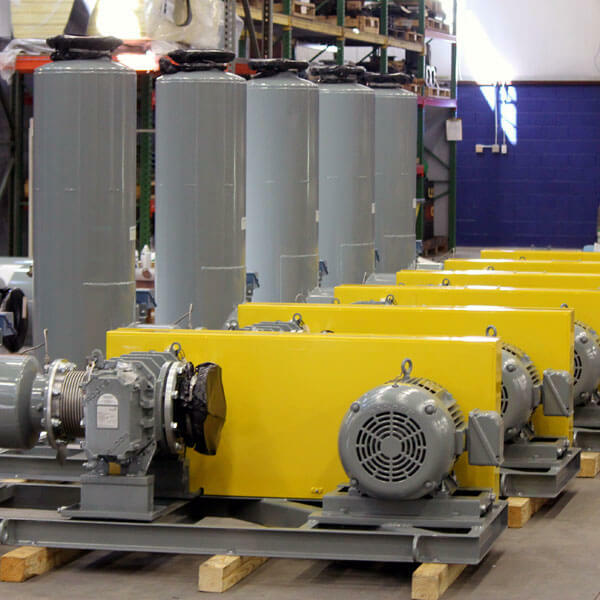 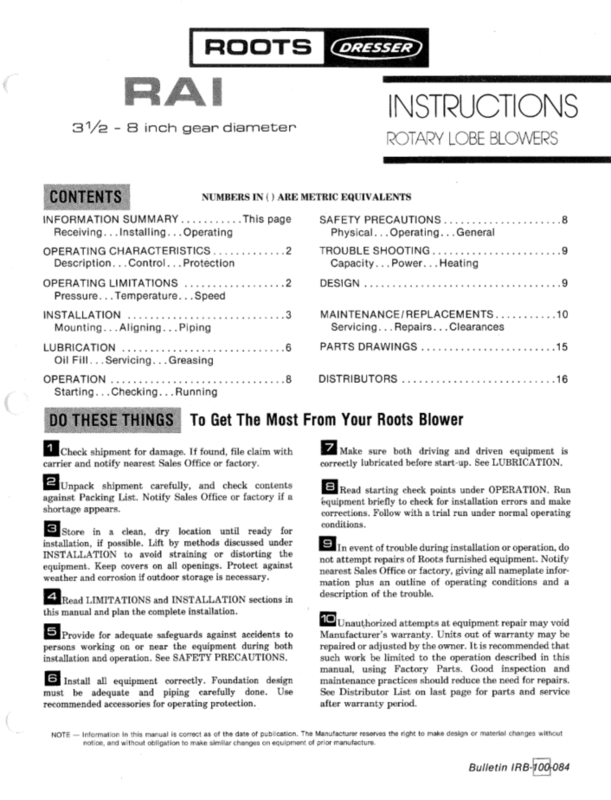 Roots RAI obsolete rotary blower series | pdblowers, Inc. 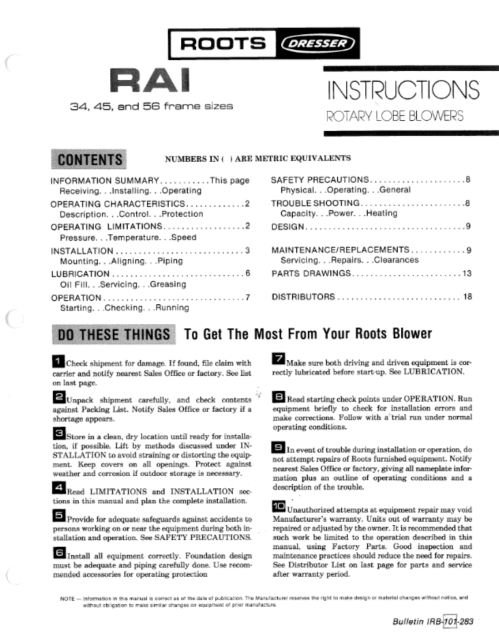 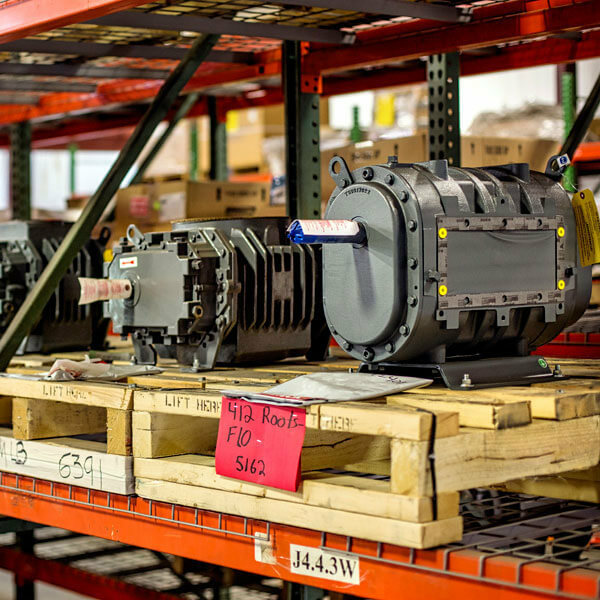 The Roots rotary blower RAI Series are now obsolete, replaced by the Universal RAI series. 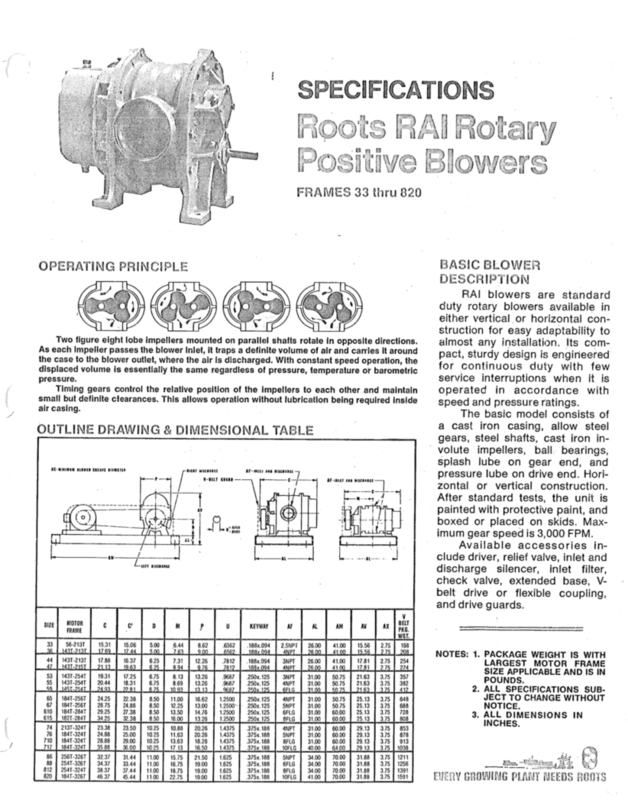 The RAI blowers were standard duty units available in either vertical or horizontal construction for easy adaptability. 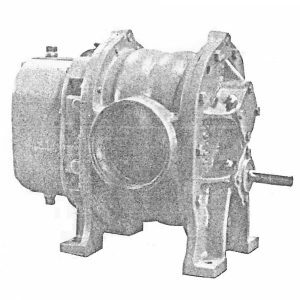 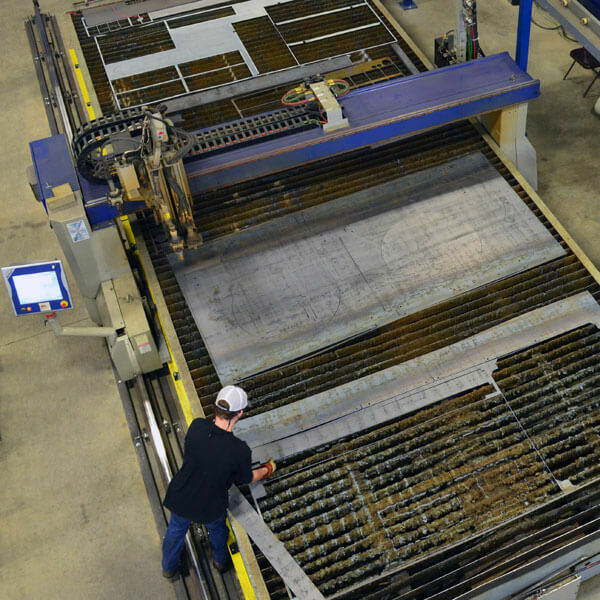 The basic model consisted of a cast iron casing, alloy steel gears, steel shafts, cast iron involute impellers, ball bearings, splash lube on gear end, and pressure lube on drive end. 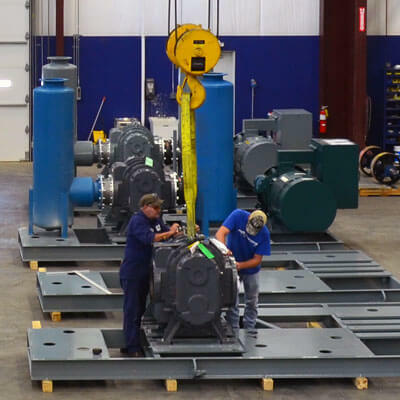 Maximum gear speed was 3,000 FPM.